Welcome! I'm excited you have stopped by at week #11 of A Little Bird Told Me Link Party! I am so glad you are here and can't wait to see what you link up! I must be ready for the beach with this week's nautical themed features! Thanks so much, Allison, for featuring my Shorebirds With Squiggles card! 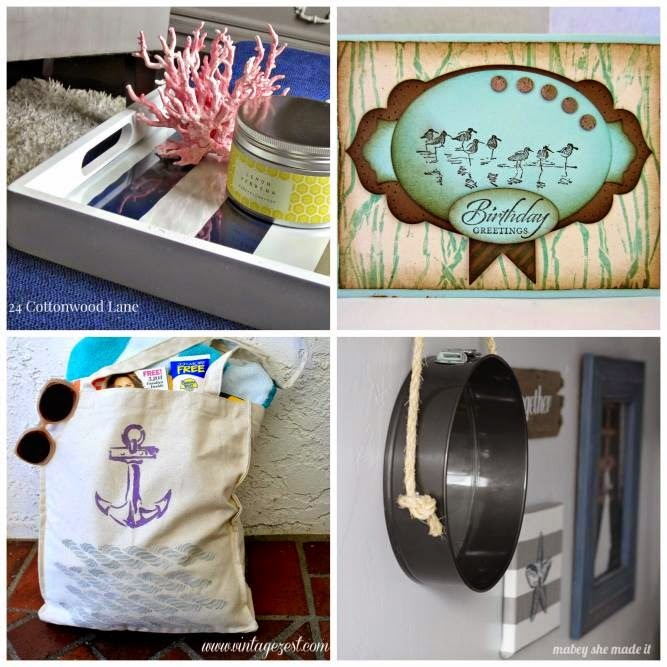 I am thrilled to be a part of your nautical themed features, and to be able to help you get ready for the beach! Smiles, Linda at Paper Seedlings.